Morgan was a genuinely beautiful person, inside and out. She was a loving sister, daughter and great friend, and was known for her contagious smile. Her passion was dance. She was a talented performer and teacher, but most importantly, an amazing role model for younger dancers. When Morgan got her driver’s license, she didn’t hesitate for a moment before answering “Yes” to registering as an organ and tissue donor. Saying “No” wouldn’t have crossed her mind… she always gave selflessly. None of us could have imagined that three short years later, so many people’s lives would be impacted by her one decision. 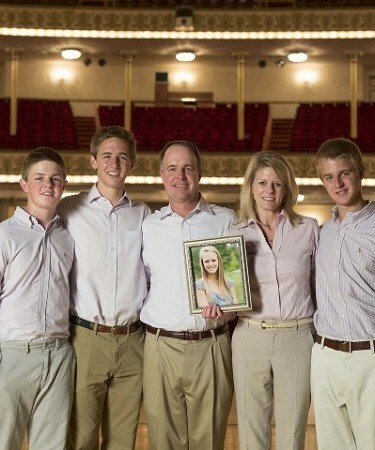 She was a freshman at Wake Forest University when we received the unfathomable call that our perfectly healthy daughter was in the hospital with a blood clot in her brain. Within 24 hours, it was clear that she would not recover, at which point we were approached by Carolina Donor Services. We immediately knew that honoring her decision was the greatest way to honor her legacy. Miraculously, she was able to provide life-saving organ transplants to 7 other people, corneas to restore someone’s sight, and life-enhancing tissue to over 50 people. In the midst of our tragedy, knowing that she provided hope for the future to so many recipients and their families gave us an incredible measure of peace. In the time since her donation, we have received letters from several recipients. Their kind words and gratitude are truly a blessing. We are also very appreciative of the ongoing support from LifeCenter and Carolina Donor Services, and most especially the sensitivity and compassion shown during our darkest days. We are eternally grateful that Morgan continues making a difference in the lives of others!